Brisbane 13 June 2013. The latest stock status report from the Queensland Government has rated 31 of the state’s key fish species as sustainable, up from 28 in 2011. Minister for Agriculture, Fisheries and Forestry John McVeigh said the assessment was based on analysis of commercial and recreational fishing catch, scientific monitoring and research. “A comprehensive range of assessment tools are used including biological information on fish populations (e.g. age, length), commercial fishing logbooks, recreational catch estimates, and reviews by external scientists,” Mr McVeigh said. Mr McVeigh said only one fish stock continued to be cause for concern. “Snapper, one of our most popular commercial and recreational fish species, was again classified as overfished,” he said. 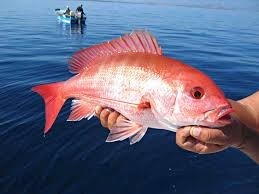 “Commercial and recreational catches of snapper remain low by historical standards. “While the recreational possession limit of snapper was reduced in late 2011, the long-lived nature of the species means it will take significant time before the effect of the management changes are realised. “We have stepped up the monitoring of snapper to better understand its status, including improved monitoring of snapper catches and an independent survey of juvenile snapper in Moreton Bay. Mr McVeigh said the assessment of Queensland’s fisheries showed they were some of the most sustainably fished in the world thanks to stringent fisheries management arrangements. “Assessments like this stock status report are critical to monitoring usage of our fisheries resources for long-term sustainability,” he said. “By highlighting any gaps in information, we can put processes in place to gather data on these stocks for future assessments. A stock assessment for coral trout is underway, and the first stock assessment for blue swimmer crab is planned as a result of the changes to their stock status. The summary report on Queensland’s 2012 fish stock status is available online at www.fisheries.qld.gov.au and the full report to be published in the coming months.